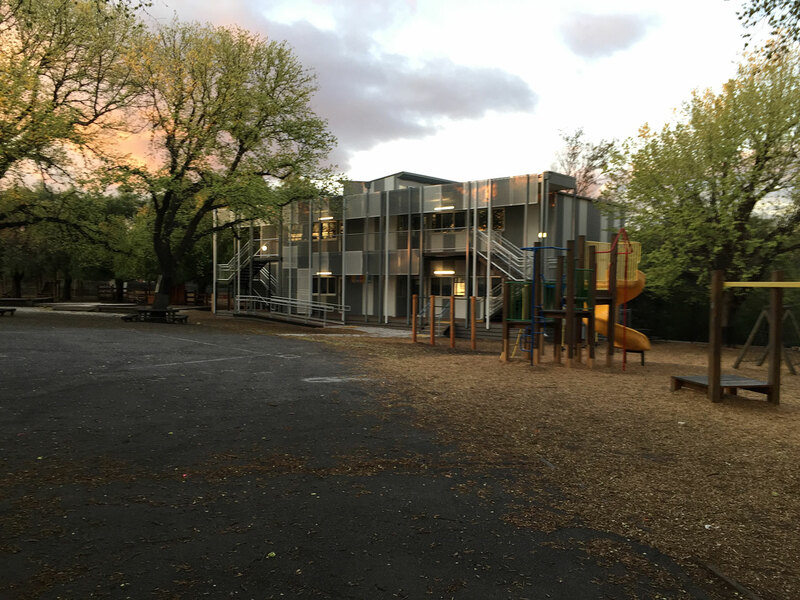 Croxon Ramsay with the Grove Group designed and constructed these relocatable classrooms for the Department of Education and Early Childhood Development. 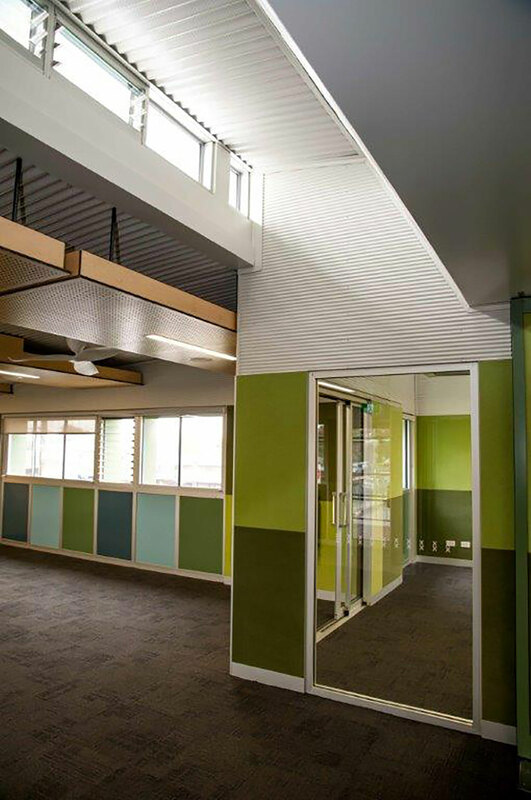 The vision for the classrooms was to provide best practice in educational design and planning and environmental sustainable design to create the highest of learning standards. 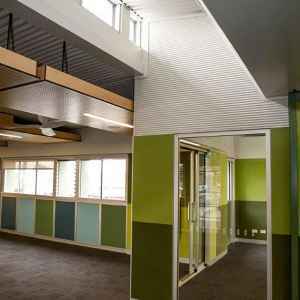 The concept for classrooms was to provide new opportunities for supporting teaching and learning and changes the standard contained and separate classrooms to a collaborative, interdisciplinary learning community. The classrooms can support project-based learning, peer tutoring, technology-aided teaching, cooperative learning and team teaching. 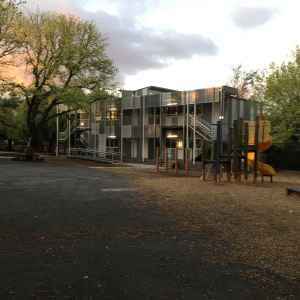 Environmental sustainable design (ESD) underpins the approach to the design of the Classrooms. An integrated design that fulfils the spatial and user requirements, while providing an environmentally sustainable outcome is critical to the success of the project. 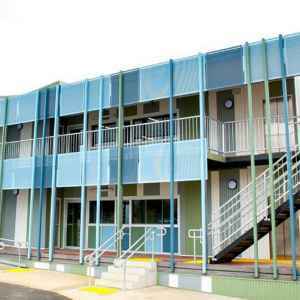 The Classrooms have been designed to minimise energy use for mechanical heating and cooling through passive design strategies, improved indoor environment through CO2 monitoring and low volatile organic compounds (VOC) materials and potential water collection from roofs. 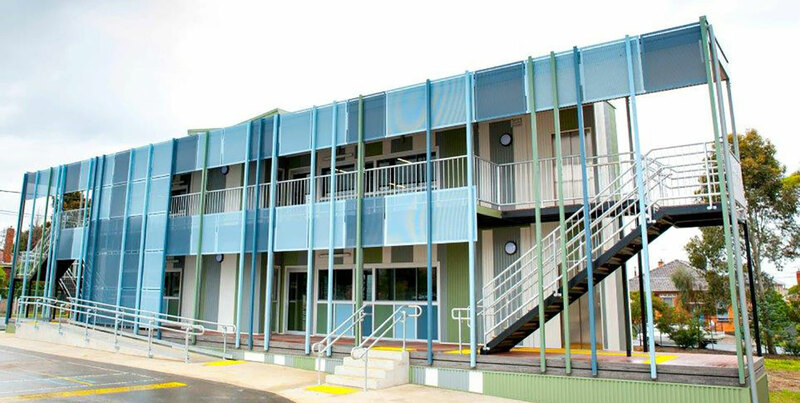 The Department are rolling out these 2 storey relocatable classrooms across Victoria, with a minimum life expectancy of 25 years and a building that is capable of being relocated up to 10 times during its design life.